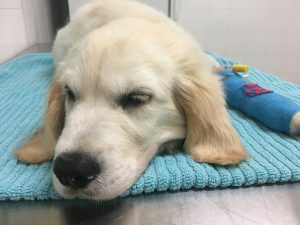 Wilbur is a 10 week old Golden Retriever, he is a beautiful, affectionate boy and was about to start his training as an assistance dog to help a child with special needs but something has gone wrong; Wilbur is now experiencing the hardest start to his little puppy life…. Qantas Airline are supporting Kate and Koopa with Mobile Phone Recycling. Christian O'Connell and the team at 104.3 are committed to creating a community that both encourages interaction and collaboration and shows respect for others. 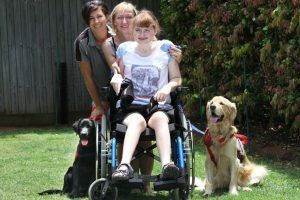 We are raising awareness for Smart Pups Assistance Dogs, a not-for-profit organisation based in Queensland, Providing assistance dogs to children with special needs. Trained in task-specific skills, Smart Pups improve children’s independence and quality of life. This unique form of early intervention therapy has a profound effect on the day-to-day lives of children and families… making a positive change that keeps growing. For life.